Victor Martinez and the Detroit Tigers are down 0-2 in their series with the Texas Rangers but it might not be all bad if they are eliminated. 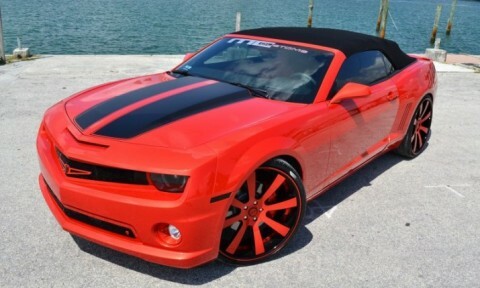 He gets to drive this awesome Convertible Camaro SS around South Beach. This car was customized by MC Customs and is on point. We love everything about this car. The simple 8 spoke design of the wheels works really well because of all the orange on the car. The only problem we have with the car is the chrome exhaust. 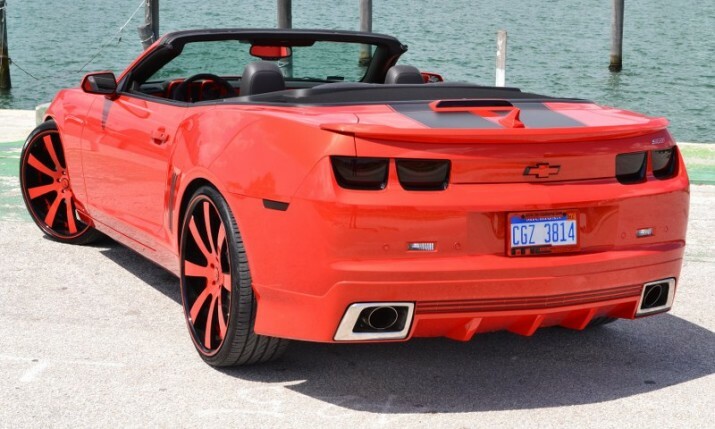 The entire car is black and orange so the chrome exhaust really doesn’t make any sense.